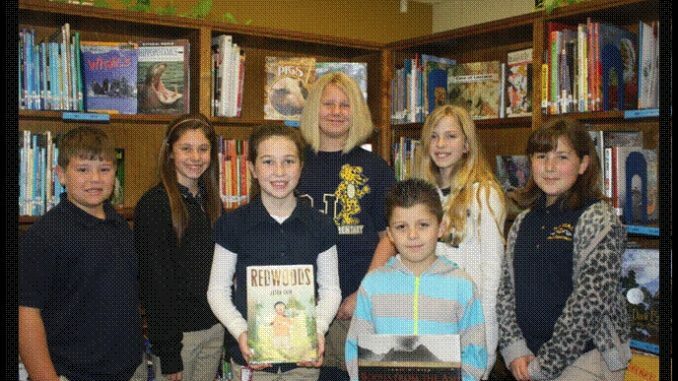 R.J. Vial’s District Young Author’s Winners have been named. The following students were named R.J. Vial’s District Young Author’s Winners: (left to right): 4th grade – Drake Simar; 5th grade – Kayden O’Toole; 4th grade – Tabatha Toney; 4th grade – Angelina Sander; 3rd grade – Zane Dufrene; 5th grade – Grace Matherne; 5th grade – Addie Speyrer. Tabatha Toney placed first and will be competing at the state level in the spring.